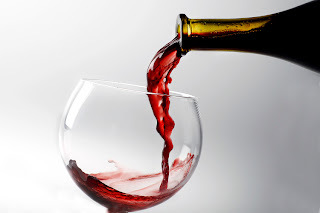 Bedford Eye Care News: One Drink A Day May Be Beneficial For Middle-Age Women. One Drink A Day May Be Beneficial For Middle-Age Women. September 6, 2011, 4:19 p.m. Moderate drinking has been linked with various health benefits, and now a study finds that middle-age women who indulge in one drink a day or less on a regular basis may have a better chance of being healthier when they're older. The study, released today in the journal PLoS Medicine, looked at data on alcohol consumption among 121,700 femalenurses who were part of the Nurses' Health Study. Of those participants, 13,894 lived to the age of 70 or older. Among them, 1,491 were considered to have aged successfully, defined as having no heart disease, diabetes or other chronic diseases, and no substantial cognitive declines, mental impairment or physical limitations at age 70 and older. Among the study participants, about one-fourth were non-drinkers, about 62% drank one drink per day, almost 10% drank one to two drinks per day, and 3% drank two to three drinks per day. Overall, moderate drinking was linked with having better odds of successful aging. Looking at both the amount and frequency of drinking, women who drank five or more grams of alcohol (between one-third and one drink) per day and spread their drinking out over three to seven days a week had better odds of successful aging compared with non-drinkers. Looking just at frequency, researchers found that spreading out drinking throughout the week was linked with better general health, but drinking just one to two days a week was not. Compared with teetotalers, women who drank several days out of the week had a 50% better chance of overall good health later in life.